The iconic moose is disappearing from many protected areas in North America, as an alarming number of calves fail to survive their first year. A new documentary on The Nature of Things takes a close, personal look at the struggles they face. 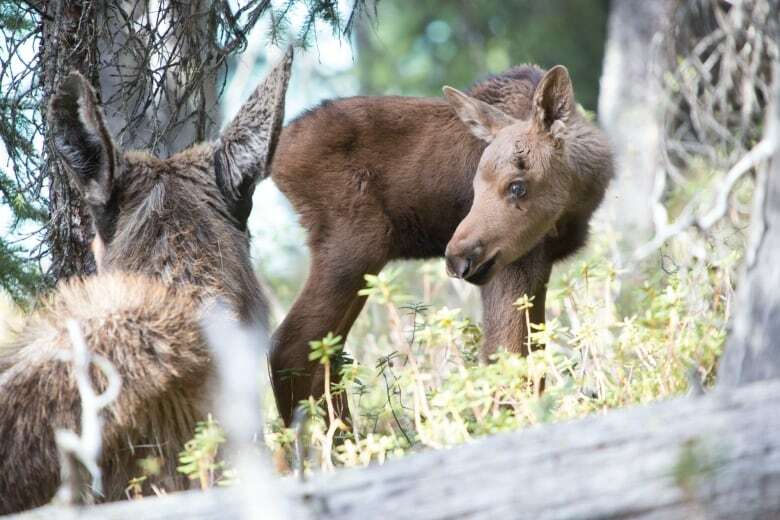 An alarming number of moose calves are failing to survive their first year, pushing moose populations into decline in many parts of North America. Why that's happening isn't clear, although a variety of factors are certainly contributors, says wildlife biologist Seth Moore. These include disease, predators and climate change. Moore provided his expertise as a consultant for the new documentary Moose: A Year in the Life of a Twig Eater,airing on CBC-TV's The Nature of Things on Thursday, Oct. 15, at 8 p.m. Shot in the wilds of Jasper National Park, the documentary follows a newborn calf and her mother over a 12-month period. It takes a close, personal look at the challenges a calf faces in its natural environment. "The first year of life is the toughest for calves," Moore said. "They are easy prey for wolves and bears, and many succumb to diseases and other health issues. A film like this can help with the understanding of what happens, and provide clues on out how to help these populations." Moore works at the Grand Portage Trust Lands in Minnesota, where 90 per cent of moose calves die each year. "We lose about 75 per cent of calves in the first couple weeks of life, mostly to predators, then another 15 per cent due to natural health issues," he said. Moose in Jasper are also facing problems, according to Parks Canada. There, the decline is attributed to the deadly liver fluke, wolves and collisions on the railways and highways that run through the park. What happens to moose populations varies according to where they live, according to Ryan Brook from the University of Saskatchewan, also a consultant for the documentary. "Canada has several populations undergoing alarming declines, such as in the Duck and Porcupine Mountain areas in Manitoba," he said. Minnesota, Quebec, Ontario, British Columbia and several U.S. states have all seen declining populations, too. Declines haven't happened everywhere, but they certainly raise a red flag and are "something we really need to think about and take immediate action" on, especially if the reasons for declines could spread into areas with stronger populations, Brook said. Some places have seen increased numbers of moose, such as the southern half of Saskatchewan. Over the last 30 years, moose populations have spread from forested areas into farmland. As well, moose are now appearing in the Arctic Tundra in larger numbers in many areas. What this all means is hard to say because there is no nationally or internationally standardized moose population and health monitoring program, Brook said. Moore notes that in Minnesota, "40 per cent of our adult population are dying from the brain worm parasite, which is transmitted by deer. About 20 per cent of adults are dying from higher than normal winter tick loads. And 20 per cent die from a combination of health issues." Deer carry brain worm but are not themselves affected by it. The deer also help feed and boost the population of predators that also prey on moose calves. However, the underlying cause of moose population decreases is likely climate change. "Both winter ticks and brain worm benefit from warmer than average temperatures. Brain worm is transmitted by deer and our deer populations explode with shorter winters and longer growing seasons. Tick populations explode with earlier snow melts," Moore said. 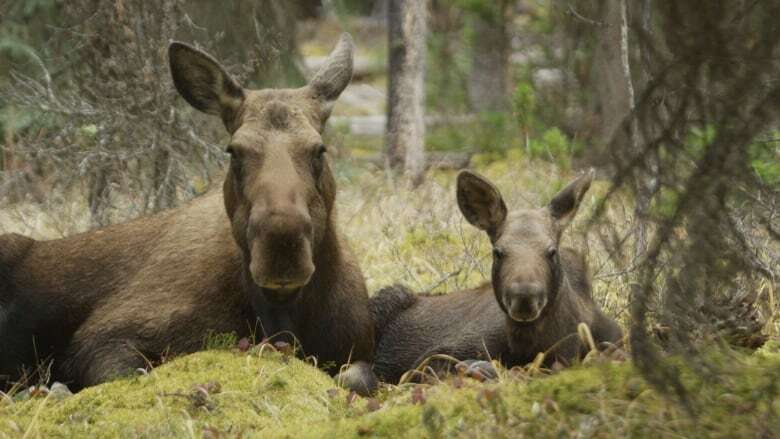 Both Moore and Brook note that in order for moose populations to sustain a productive level across North America, more young calves have to survive their first year — a tough feat that is documented in A Year in the Life of a Twig Eater.